Package are used in Java, in-order to avoid name conflicts and to control access of class, interface and enumeration etc. A package can be defined as a group of similar types of classes, interface, enumeration and sub-package. Using package it becomes easier to locate the related classes. Built-in Package:-Existing Java package for example java.lang, java.util etc. Creating a package in java is quite easy. Simply include a package command followed by name of the package as the first statement in java source file. The above statement create a package called mypack. create a directory under your current working development directory(i.e. JDK directory), name it as mypack. Put the class file into the directory you have created. Execute the program from development directory. NOTE : Development directory is the directory where your JDK is install. 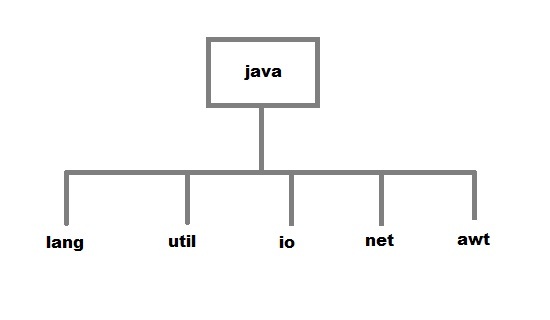 Package is a way to organize files in java, it is used when a project consists of multiple modules. It also helps resolve naming conflicts. Package's access level also allows you to protect data from being used by the non-authorized classes. import keyword is used to import built-in and user-defined packages into your java source file. So that your class can refer to a class that is in another package by directly using its name. import the only class you want to use. import statement is kept after the package statement. But if you are not creating any package then import statement will be the first statement of your java source file. static import is a feature that expands the capabilities of import keyword. It is used to import static member of a class. We all know that static member are referred in association with its class name outside the class. Using static import, it is possible to refer to the static member directly without its class name. There are two general form of static import statement.